Wednesday afternoon I spent in my office frantically typing up [read: finally composing] my Marianne Moore presentation, with the goal of finishing before seven p.m. so I could attend the opening events of the conference. I succeeded, to my amazement. 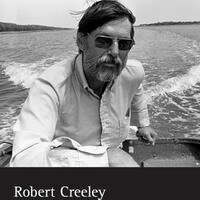 The first attraction, after the welcome speech by Burt Hatlen, was a "reading" by Robert Creeley. "Reading" in quotes because it was mostly just a talking, albeit a very engaging one. He did read some poems by himself and others, including a wonderful recital of some lines by Hart Crane. This was followed by a tribute to Louis Zukofsky, with contributions from Bob Perelman, Lyn Hejinian, Barrett Watten, Creeley, and Mark Scroggins. Most of the rest of the first evening was mingling and drinking with Mike Magee, Lytle Shaw, Susan Schultz, Phil Metres, Andrew Epstein, Mairead Byrne, Louis Cabri, Kevin Killian, Aaron Kunin, and others. Next day, up for a Zukofsky panel at eight a.m., with what seemed like an excellent paper by Louis Cabris on myth and the "inertial word." Unfortunately, Louis was last in the line-up, and didn’t have enough time left to get to the inertial word part. Then a reading by Jackson Mac Low of his early poem "HUNGER STrikE whAt doeS lifemean," plus a few shorter pieces. I missed Harvey Shapiro’s reading, but attended a one o’ clock Objectivists panel chaired by Lyn Hejinian, before the Marianne Moore panel in the same room at 2:45, where I delivered my paper. Kirby Olson and I both discussed her WWII poem "In Distrust of Merits," which also, it turned out, was the focus of Cristanne Miller’s plenary speech scheduled for Saturday, as she let us know during the Q&A session. Sometime in the midst of all this, I had time to check out the book fair, where I picked up Lyn’s My Life in the Nineties and Ben Friedlander’s Simulcast: Four Experiments in Criticism. That evening, J. Hillis Miller gave a talk on Williams and Stevens, about which frankly I can’t remember much except that it was about the figure of the "indigene" and that he spent much more time on Stevens (especially "Notes Toward a Supreme Fiction, especially the last part about the soldier dying gladly with noble words etc.) than on Williams, but ended up pretty much saying that Williams was better. And, during the Q&A in dialogue with Bob Perelman, saying that as a prosodist Stevens was a "clod" in comparison with Williams. Unfair! Bob muttered dismissively in agreement, "yeah, iambic pentameter," which reduction I wanted sorely to complicate with some remarks of my own, but then time was up for questions. This was followed directly by a lecture by Alan Trachtenberg on the forties as the "noir decade." Interesting, but somewhat broad, and the poetry he considered to be representative of the period was pretty dull. Back to the cash bar for more late-night group and open readings. It’s too long ago now for me to remember all the highlights (and lowlights) of these wee-hour-happenings, but I have to mention Mairéad (rhymes with parade) Byrne. Have you ever heard her read? The woman is a fury! OMG, I am such a fan now. She traded me a copy of her book Nelson & the Huruburu Bird for Deer Head Nation, and I haven’t had a chance to sit down with it yet, but I’m looking forward to it. Also Thursday night, my old Stanford buddy Michael Golston showed up, about which I was greatly stoked. Mike and I shared an office in our postdoc year, and spent many an hour talking about Gertrude Stein, Robert Grenier, Clark Coolidge, Charles Bernstein, Harryette Mullen, et al., with the ultimate result that essentially I started pursuing poetry again after several years of doing nothing but studying Renaissance British lit. If it weren’t for him, you could say, I probably wouldn’t be blogging here on these matters today. (We had also been in Marjorie Perloff’s course on lyric together a couple years before, which was maybe the only other experience during my whole time at Stanford that kept my interest in contemporary poetry and poetics from going completely dormant.) Also arriving around that time (or maybe the night before, or after): Sean Killian, Doug Rothschild, Kelly Holt, Barbara Cole, Kim Bird. Friday morning, a Stevens panel, and then, during the ten a.m. slot left open by Harryette Mullen’s cancellation, I read in a group reading with Bill Howe, Lytle Shaw, and Bob Perelman. Missed the Margaret Avison reading, which I later heard was excellent. Long lunch with Mike Golston, Marjorie, Jonathan Ivry, Al & Barbara Gelpi, and a couple of other Stanford people. 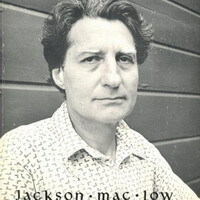 At 2:45, a fine panel entitled "Beginning in the 1940s" with papers on Mac Low, Ashbery, James Laughlin, and the recently deceased Bern Porter (the last delivered by my student Arlo Quint, who was one of the last people to see Porter alive; he had visited him at his Maine rest home the day before he passed away, just two weeks earlier). By dinnertime a bunch of us were going a little bonkers from being nowhere but on campus for so long, so we had a sizeable exodus into town for burgers and beers at the Bear Brew Pub. Mad dash back to the U for Marjorie’s lecture on Beckett and wartime "hiding." This was complemented by Joan Retallack’s talk on Stein and her dubious wartime "politics and poethics." Back to the cash bar! It all blurs together now. Don’t ask me for details. Saturday, an eight a.m. Williams panel with Lytle Shaw (on W. and Smithson), Mike Magee (on W., Kenneth Burke, and Ralph Ellison), and Carla Billiteri (on W.’s "aristocratic" "aural politics" in his critical writing). I may be biased, as these are all people I like immensely, but nevertheless, this was probably the most consistently smart and engaging panel I saw. Plenary Speaker # 6 was Al Filreis, whose paper consisted largely of a recital of various 1940s anti-communist critics’ fascinatingly conflicted attacks on modernism. He was followed by Speaker # 7, Cristanne Miller, who spoke on Marianne Moore’s "In Distrust of Merits" and "The Mind Is an Enchanting Thing" (she read Moore’s work beautifully, and even sang a little bit). After lunch, Lyn read some passages from My Life, followed by some news clippings she had dug up about California in the 40s, during the years of her girlhood covered by the sections of her book she had read. She also read excerpts from Oaxaca: A Short Russian Novel and a new work entitled Lola. I tried to go to Mike Golston’s 2:45 paper on Williams, the "variable foot," and the bomb, but missed the first half. Then I had to leave halfway through Don Byrd’s paper–something about cybernetics–because I was seriously crashing. Fortunately, I managed to get my second wind for the big lobster dinner. Before dinner, people gathered in the lobby of the banquet hall and we had a candlelight memorial for Carl Rakosi, who–it had been announced the day before–had passed away in San Francisco at the age of 100. Robert Creeley, Lyn Hejinian, Burt Hatlen, and a couple other people read from his poetry. Mmm, lobster. Sat with Mike Magee, Andrew Levine, Creeley, Mairéad Byrne, Clive Bush, and Robin Brox (another of my Orono students, and previously of Creeley’s at Buffalo). Creeley regaled us with rousing old poet stories. Midway through dinner, Burt Hatlen had Creeley, Marjorie P., Bob Perelman, and Laura Cowan come to the microphone and give tributes to Hugh Kenner and Carroll Terrell, gone this past year. Once more unto the cash bar, dear friends! At this point all coherence was gone. The one thing I can remember (shudder) is Doug Rothschild taking off assorted articles of clothing for rhetorical effect. I stayed up till 4:45 to catch a shuttle to the airport, and thus was off homeward. So I can’t tell you what happened on Sunday, the last day of the conference. Others with whom it was very good to visit: Michael Scharf, Annie Finch, Matt Cooperman, Greg Biglieri, Jonathan Skinner, Michael Basinski, Susan Gilmore, Aldon Nielson, Brian Carpenter, Heather Webb, Deborah Levine, Michael King, David Adams, John Beer. All in all, quite a fine time, despite disappointing cancellations by Harryette Mullen, Lorenzo Thomas, Peter Gizzi, Liz Willis, and Eleni Sikelianos. I would be remiss if I did not make special mention of the great kindness and excellent company provided by Ben Friedlander, Carla Billiterri, Steve Evans, and Jennifer Moxley. They made my entire stay in Maine exceedingly pleasant. They fed me delicious meals, drove me to interesting places, accommodated my dirty laundry, helped me prepare my talk, gave me books, and most gratifying of all, engaged me in interesting conversation. I salute them! What else? My new book is out! More on this soon.